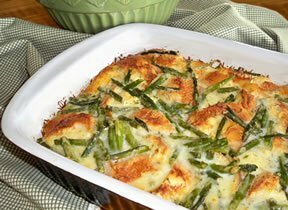 This beautiful Asparagus and Cheese Bread Pudding is as delicious as it looks. It is the perfect dish to serve for a special brunch or it makes a great side dish for any meal. Make it even better by using your favorite cheese to give it that special flavor you prefer. Our strawberry preparation instructions will show you how to clean, slice, mash, and prepare your berries for all your favorite recipes. Let us show you step-by-step instructions and helpful tips on grilling asparagus for that great grilled flavor.